We have made tables to match much-loved existing tables, worked from photographs or sketches with measurements (or even just a description and some arm waving), made tables to suit existing chairs, made wooden legs for a beautiful art glass tabletop and a wooden tabletop for metal legs (the glass top exploded!). 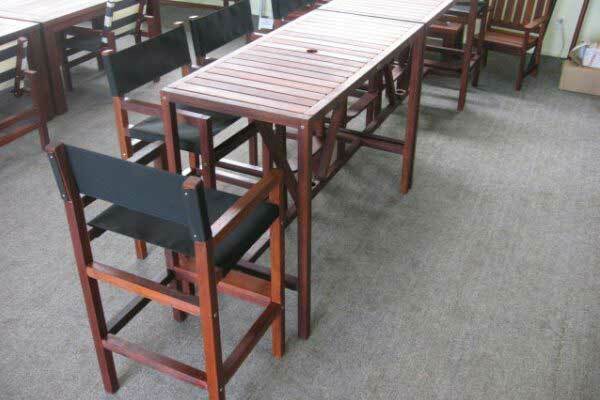 Some of the made-to-order work we have done is shown below. 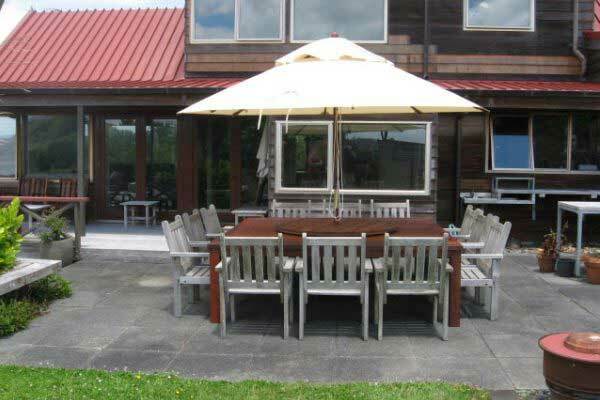 As with all our furniture, we use marine glues and stainless screws and top quality timber for a long-lasting practical result. 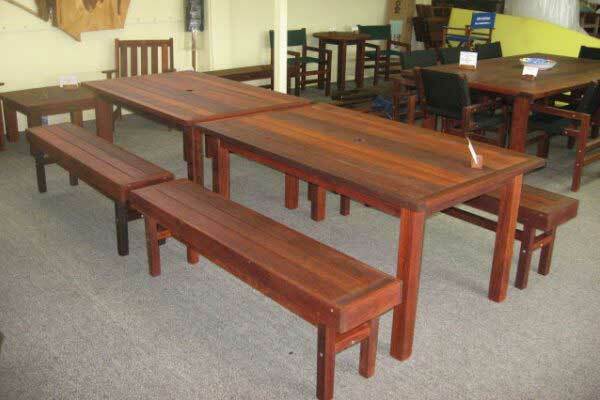 Classy and comfortable picnic table in oiled kwila, to seat four or six. 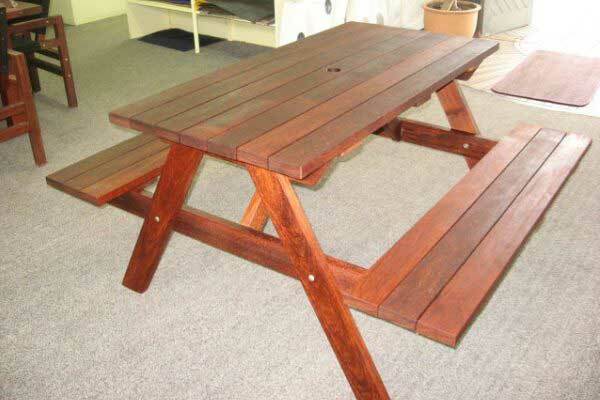 Made for a tabletop barbecue, in unoiled kwila. 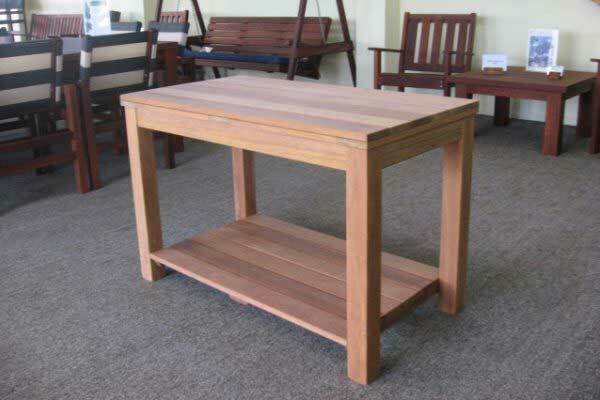 We have made these as potting tables for gardeners, too. Long (three metre) and narrow (500mm) bar leaner. 2.26 metres by 2.26 metres, made to accomodate three existing (very wide!) 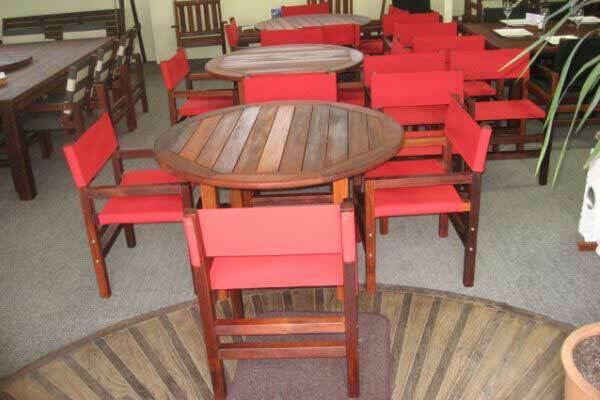 chairs on each side. 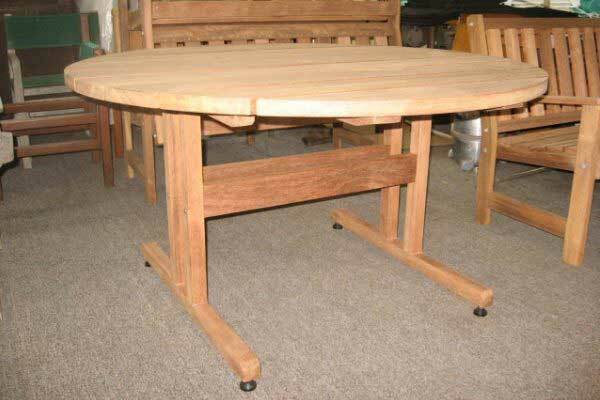 1.3 metre lazy susan, almost a table in itself. 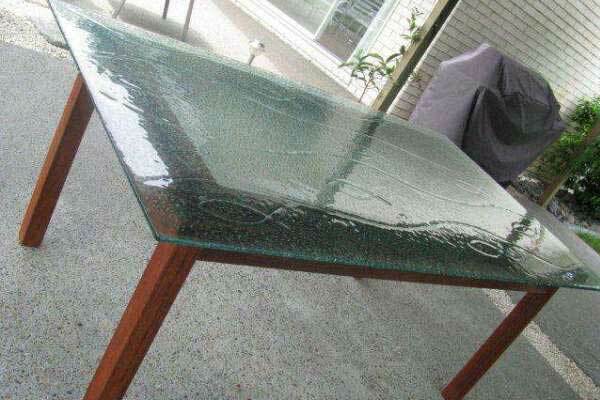 We made a wooden frame to support this beautiful art glass top after the original metal legs corroded. A different leg system, making it easy to draw high-armed chairs in under the table as there is no skirt. 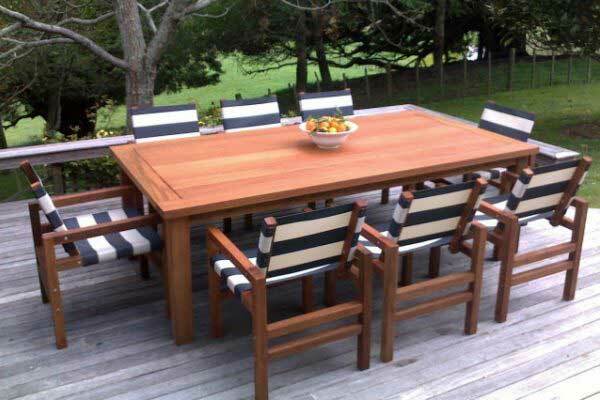 8-seater, unoiled, grey and white stripe. 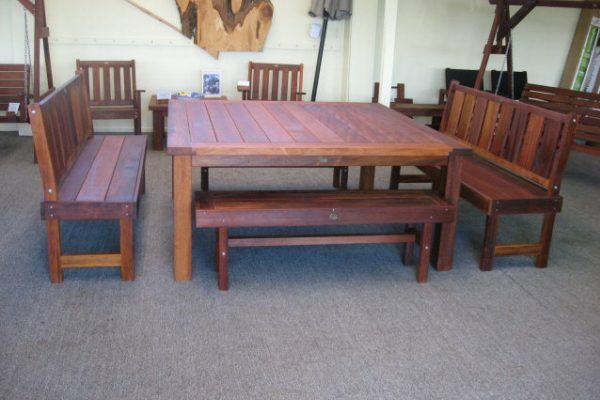 1.6 metre square table, two benches to slide under for storage, and two pews with high backs. 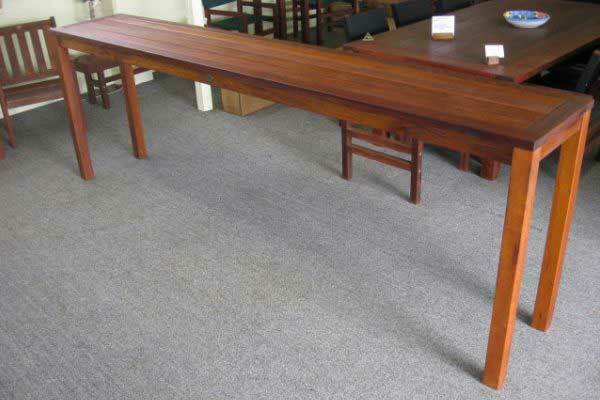 The legs on this table were detachable as it had to be taken up an internal staircase. 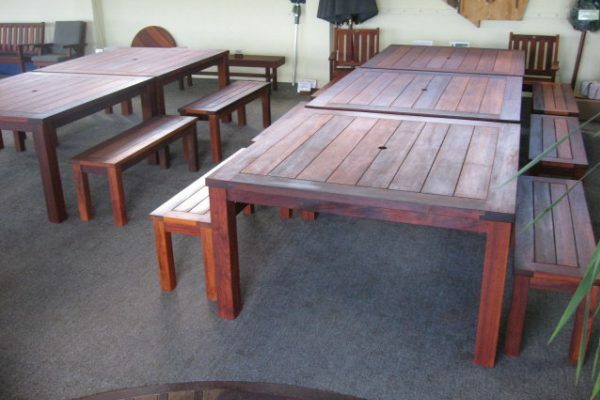 A commercial order, for a staff outdoor area. 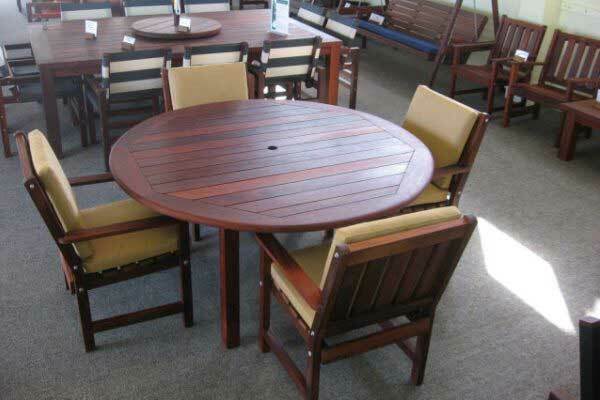 Round table with Endeavour chairs and full cushions. Part of a large order for a high school. Bar setting for a sports club. Very cute settings for a primary school in the Hawkes' Bay. 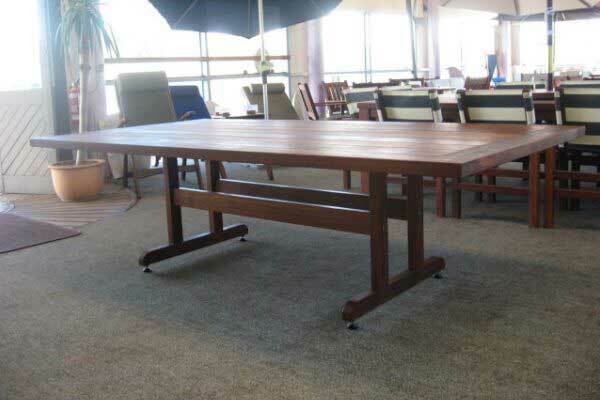 8-seater table, made low to accommodate existing chairs, with a trestle leg system.